"When's my birthday?" Is there a more oft-asked question from children? That seemingly long wait and frenzied anticipation for one's birthday is a yearly rite of passage in early childhood, producing simultaneous anguish and joy. And when the day finally arrives, oh, happy day! 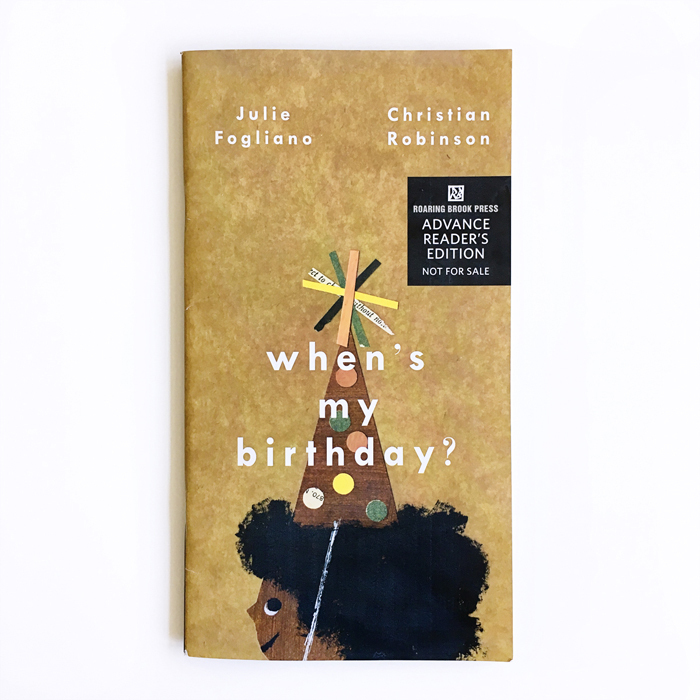 Julie Fogliano's words are lovely and exuberant and Christian Robinson's work is, as always, an absolute delight. Click here for a preview of the interior. When’s My Birthday? was written by Julie Fogliano, illustrated by Christian Robinson and published by Roaring Brook Press. Out soon on September 5.